Rev. Addie Wyatt was a labor leader, religious leader, and civil rights and women’s rights activist. She was born in Brookhaven, Mississippi in 1924 to Ambrose and Maggie Cameron. In 1930, the Cameron family left Mississippi for Chicago, Illinois in search of a better racial climate, and as such, were part of the Great Migration, the mass exodus of African Americans out of the rural South to northern, midwestern, and western urban centers. At 16 Addie Cameron married her high school sweetheart, Claude Wyatt Jr., in 1940 and the couple had two children, Renaldo Wyatt and Claude Wyatt III. In search of work to help support her family, Addie Wyatt sought employment as a typist in an Armour & Company meatpacking plant in 1941. At that time, however, black women were barred from holding clerical positions in the company and she was put to work canning stew for the army. In 1942, she joined the United Packinghouse Workers of America (UPWA), a labor union which boasted a significant and active African American and female membership. Addie Wyatt was a founding member of the Coalition of Black Trade Unionists in 1972, and the Coalition of Labor Union Women in 1974. She participated in civil rights struggles in the South and in Chicago working for voting rights, open housing, and better education. She was a member of President John F. Kennedy’s Commission on the Status of Women in 1962. As a women’s rights advocate, she worked tirelessly for better healthcare, adequate child care, and equal pay for working women, as well as passage of the Equal Rights Amendment. An ordained minister in the Church of God, she and her husband, Rev. Claude Wyatt, founded the Vernon Park Church of God in 1955 in Chicago and were quite active in the city’s politics and community organizing. 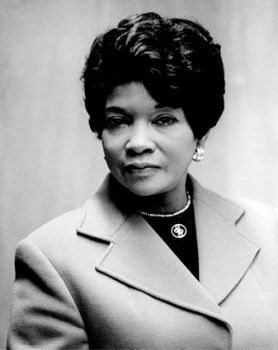 Addie Wyatt retired from her post in 1984 as International Vice President and Director of Women’s Affairs and Civil Rights for the United Food and Commercial Workers. Rev. Addie Wyatt died on March 28, 2012 in Chicago, Illinois. Robert L. Johns, “Addie L. Wyatt,” Notable Black American Women, Book II, Jesse Carney Smith, ed. (Detroit: Thomas Gale Publishers, 1995); Marcia Walker, “Faith in the Struggle: Rev. Addie Wyatt and the Fight for Labor, Civil Rights and Women’s Rights,” Ph.D. Dissertation, University of Chicago, 2012.